St. Theresa's Church was built in 1932 in Hamilton City. This Roman Catholic church was constructed to replace the St. Edward's Church which was opened way back in 1859. St. Edwards was a small church and was unable to accommodate the growing congregation. In 1915, the priest Father Isaac Comeau purchased a land on Cedar Avenue in Hamilton on which St. Theresa's church was later built. It became a Cathedral once Bermuda was officially named as Diocese. St. Theresa's Cathedral was named after St. Theresa of Lisieux, The Little Flower. It has been designed on Spanish mission architecture. Over the years, many renovations and expansions have been made to the church. In fact the tower of the church was completed only in 1947. Out of the many refurbishment done in the cathedral, some that stand out include the stain glass windows surrounding the knave of the Church, installation of a beautiful Rogers Pipe Organ, a new lighting system and re-carpeting of the sanctuary. The weekly attendance in St. Theresa's Cathedral is the largest in the island. There are a number of masses and evening services held in the church. 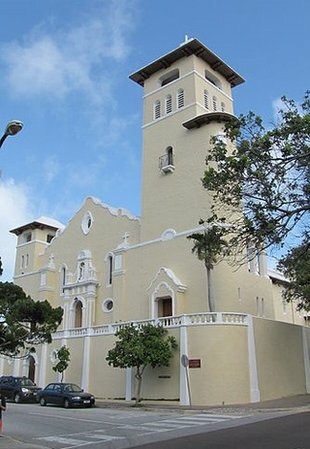 The Portuguese community in Bermuda uses the church for many of their religious events including a procession that starts from the Cathedral on the 5th Sunday following Easter and they all pray for the poor and sick. There is a gift shop at the cathedral that sells bibles, religious books, candles and few other items. Sunday Masses: 8:30am, 10:00am (Portuguese), 11:30am, and 6:00pm. 13 Elliott Street (At Cedar Avenue), Hamilton City, Bermuda. 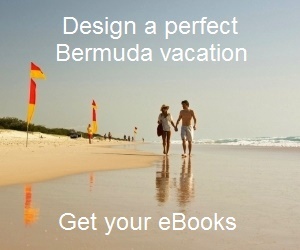 1) Check out Bermuda Churches to know about the other great churches in Bermuda. 2) Check out Pembroke for many other attractions in the parish.